One week after it told the country that it had sold $100,000 worth of ads to a Russian troll farm during the 2016 election, Facebook is still not sure whether pro-Kremlin groups may have made other ad buys intended to influence American politics that it simply hasn't discovered yet, sources with knowledge of the matter said. These sources said it is entirely possible that unidentified ad buys may still exist on the social media network today. One issue preventing Facebook from making a full accounting of the problem is that ads are purchased through the company's self-service tool, which allows buyers to independently purchase and target ads, often without human interaction on Facebook's side of the transaction. On Wednesday, Andy Stone, a policy spokesperson for Facebook, told CNN that no one on the sales team communicated with the individuals who bought the ads, which sometimes happens with large ad buys. There was "no sales support," Stone said. That may be a bit of a relief for the embattled company. But there are still questions both inside and outside Facebook about why the company didn't have the tools set up to prevent these buys from happening in the first place. 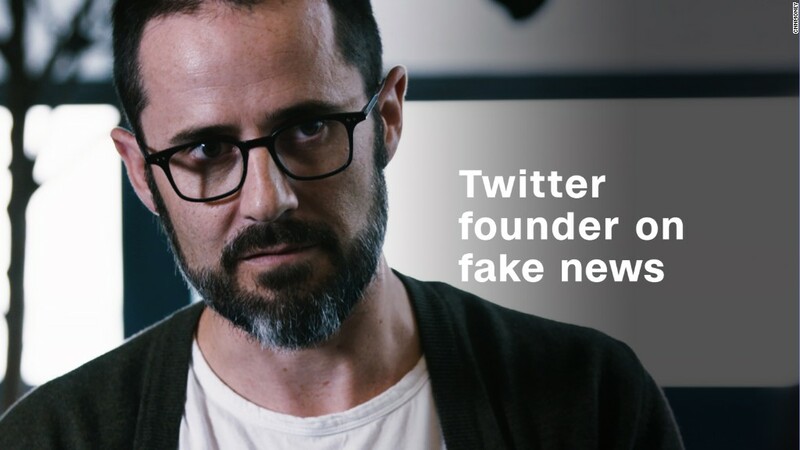 "If the interaction was limited to the walled garden of self-serve, Facebook can make the case that it was just the machine talking to the Russians," Adam Sharp, Twitter's former director of media partnerships, who's now doing consulting work and speaking, told CNNMoney. "However, there are still questions," he added. "Why weren't there preventative measures in place to alert Facebook to the fact that this might be political advertising? And why didn't this buy trigger an account executive to reach out to the buyer?" On internal discussion boards, two Facebook sources said, employees have called for greater transparency from their bosses about the content of the ads, how and where in the country they were targeted and what steps were being taken to prevent further meddling. "People [want] to know what's going on and how this happened," a Facebook source said. Facebook employees aren't the only ones who want answers. Sen. Mark Warner, the top Democrat on the Senate Intelligence Committee, said this week that he believes what Facebook has disclosed so far is "just the tip of the iceberg," and that he thinks Facebook, Twitter and other social media networks would need to be brought in for "some level of public hearing." "I think this opens up a whole new arena," Warner told reporters, "not just looking back, in terms of what happened in 2016, but looking forward on how we make sure that the public has appropriate ability to see the content that's gonna be influencing future political campaigns." So far, Facebook has only said that the vast majority of ads focused "on amplifying divisive social and political messages" and "didn't specifically reference the US presidential election, voting or a particular candidate." About one-quarter of the roughly 3,000 ads were geographically targeted, Facebook has said. Once an ad buyer identifies a small target audience and succeeds in getting people in that audience to "like" or engage with a post, they can continue targeting those individuals and their friends. Those users may then participate in spreading fake news or misinformation by sharing it on their timeline, in which case the advertising is no longer necessary. "As soon as they get page likes and engagements, they can use that to seed a fan-out of trolling," Sharp explained, adding that Facebook would need "a more finessed approach" to prevent such trolling in the future. For now, Facebook says it is continuing its own investigation into the matter while continuing to work with federal authorities on their investigation. "We are exploring several new improvements to our systems for keeping inauthentic accounts and activity off our platform," Alex Stamos, the company's chief security officer, said in the statement from Facebook disclosing the buys last week. "For example, we are looking at how we can apply the techniques we developed for detecting fake accounts to better detect inauthentic Pages and the ads they may run. We are also experimenting with changes to help us more efficiently detect and stop inauthentic accounts at the time they are being created." But full transparency will have to wait. Facebook does not plan to release information about the ads and, as The Daily Beast reported Wednesday, it will not commit to notifying those who were targeted about what happened to them. Nor is Facebook fully addressing its staffers own concerns about transparency. "There are complicated legal issues about what we can share with various interested parties," Stamos wrote on one of the internal discussion boards, according to sources with knowledge of the posts. "I can't go into more details than that at the moment."